UNESCO Bangkok in partnership with the Asian Development Bank and the Center for Engaged Foresight organized a workshop on Data Analysis and Youth Policy Development in LAO PDR. The Futures Literacy and Policy Visioning Workshop was facilitated by the Center for Engaged Foresight with UNESCO. This briefly presents the preferred futures, visions and priorities that resulted from a two-day futures literacy/policy visioning (FL) workshop for the Lao People’s Revolutionary Youth Union (LYU) held at the LYU’s headquarters in Vientiane Capital, Lao PDR from June 13-14, 2018. The workshop introduced and integrated futures literacy (FL) to UNESCO’s youth policy development for LAO PDR. The participants learned and used the future by employing select anticipatory tools and methods to question, explore, anticipate, imagine and design preferred youth policy visions on five thematic areas: education, health, employment, protection and participation. The methods used includes experiential questioning and shared history, futures wheel analysis, HMW (how might we) point of view statements for brainstorming, futures triangle, scenarios, designing prototypes and policy identification/prioritization tools. The workshop concluded with five preferred future visions and prototypes including initial policy priorities complimenting LYU’s national youth development agenda, UNESCO’s Guidance Framework for Youth Policy Development and Agenda for Mainstreaming Gender Equality and Social Inclusion into Youth Policies: 1) Playground for Inclusion Aka Playground for Kids (Participation); 2) My Home: Call 1-4-5-4 (Protection); 3) Happy Health, Easy App (Health); 4) Just Click! (Employment); 5) Digital Learning for Kids and Inclusion in Laos (Education). What are Lao youth hopes and fears? What are they struggling with? What are their needs? What does the future mean to them? What are their images of the future? What are their future visions? How might a preferred future of employment, health, education, participation and protection look like to a Lao youth? How might they articulate their envisioned futures? What are the steps they can take to achieve their preferred visions of the future? These questions among others were explored during the futures literacy (FL) and policy visioning workshop organized by UNESCO Bangkok in collaboration with the Lao People’s Revolutionary Youth Union (LYU) and the Asian Development Bank (ADB) to explore, discuss and shape Lao Youth futures/policy visions in five thematic areas: education, health, employment, protection and participation. To ensure rigor and relevance in answering these questions, anticipatory processes and tools were used: 1) experiential questioning and shared history to deconstruct and explore the present and to remember the past; 2) futures wheel analysis to anticipate the implications and impacts of the current reality or the default future, continuing; 3) questioning the default future via short HMW (how might we) point of view statements for brainstorming opportunities and solutions; 4) the futures triangle to map the drivers and trends, the barriers that resist change and Lao youth future visions; 5) scenarios, to imagine and storify the future; 6) designing a prototype via co-creating proof of concepts of the envisioned futures and 7) the identification of specific actionable steps, feasible, doable policy priorities/programs to create the preferred future. Learn the basics of policy visioning and prioritization. To meet these objectives, the engaged foresight (EF) method was employed. The EF method is a solutions-centric and simulation driven approach to futures thinking. The aim is to provoke in participants to question the future critically and to imagine possible, probable and preferred futures. Through creative action learning via prototypes, participants are expected to create a model, storify their envisioned futures. The building of prototypes enables creators to validate their ideas potential for real world application. For this session, participants were asked to deliberate, to further imagine, create stories and develop prototypes of their plausible preferred futures of health, education, participation, employment and protection in Lao PDR. Leveraging from their outputs of the previous futures literacy sessions, participants were given guide questions to facilitate conversation: what do we want the future to be like? what is your plausible preferred future to the future of their assigned topics. 2) Valuing Compassion. Relentless compassion and relieving human suffering is key to creating alternative and preferred futures. Insight was for Lao youth, kindness and compassion is effective public policy. Compassion articulates, drives and attracts institutional buy-in. Lao youth are motivated by empathy and love. Compassion and love drives them to civic duty, to commit for public interest sake. They feel that they will succeed and will persist if there is compassion. The home was central to one of the groups envisioned future. The inner story felt like “your home will always be the place for which you feel the deepest affection, no matter who you are and where you are” and “home is where the heart is” was instructive. A group envisioned to establish “MyHome” centers in all the 148 districts in Lao PDR. Proactive Engagement. Where training ends, proactive engagement begins. Once the vision is set and priorities identified, LYU must develop a plan to convince end-users and policy stakeholders to opt-in. As champions, they must inspire adoption and bring in others – the rural village and communities – to the conversation. New futures require new metrics and development indicators. Building networks and sustaining partnerships will drive better outcome and sustainability is key in the long-run. 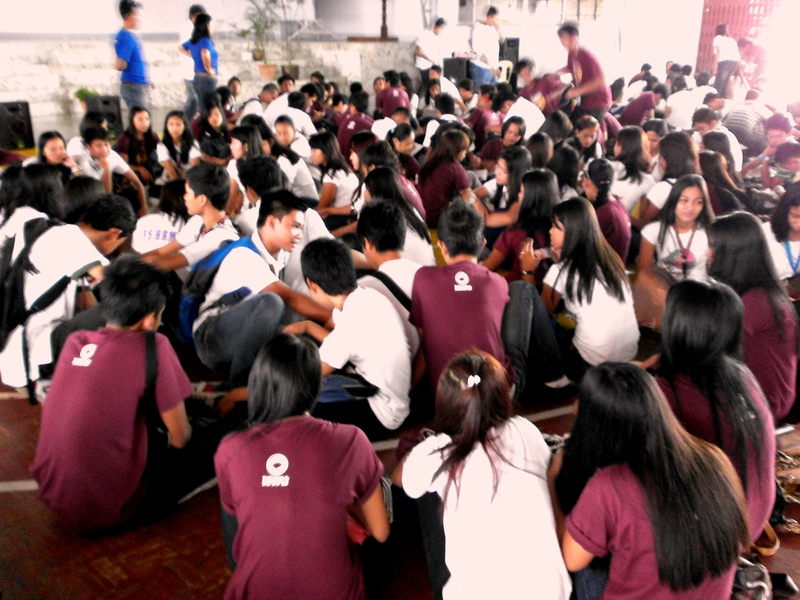 Proactive engagement is an opportunity for LYU members to build stronger relationships. Timing and persistence is critical for a successful policy program. 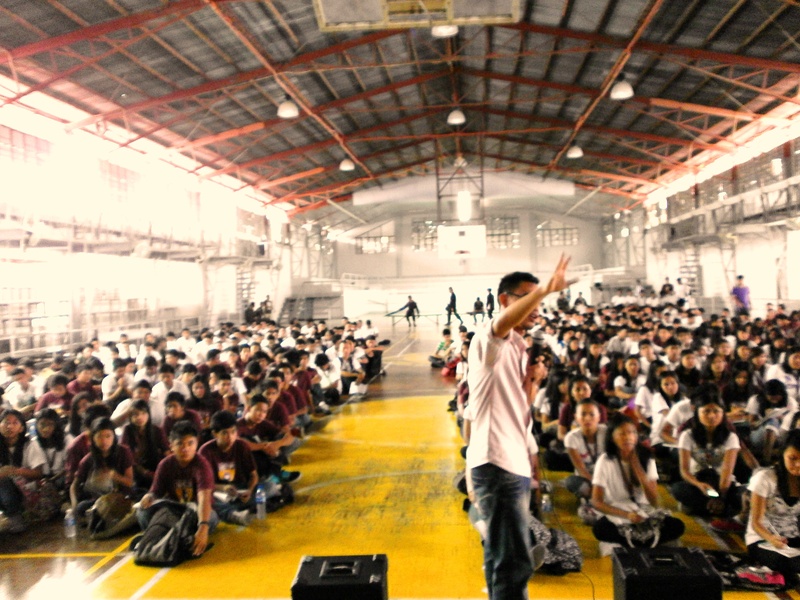 I was able to facilitate a couple of Ilocano youth futures workshop in the province last month and we had about 800 students and youth signed up for a series of futures workshops. 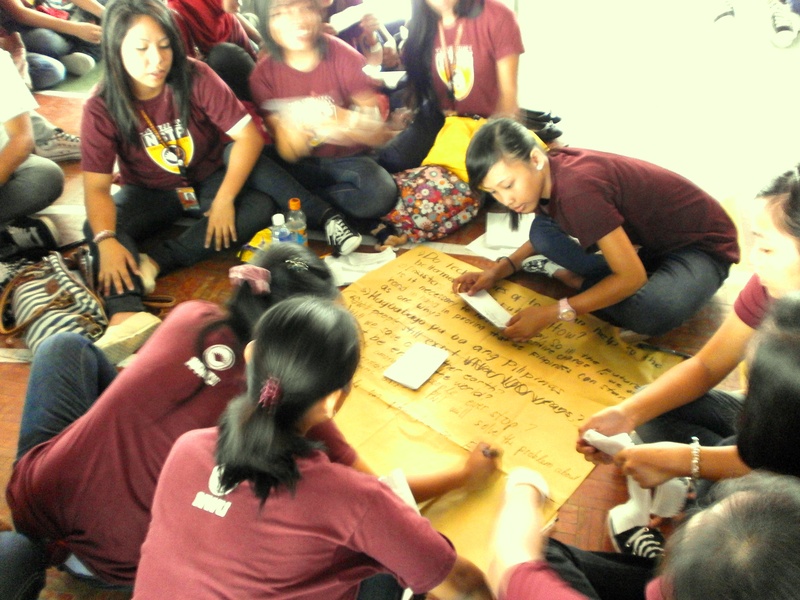 The aim of the futures workshop was to expose the Ilocano youth to futures thinking, alternative futures and social foresight. The workshop we had focused on how the youth perceive and create alternative futures. 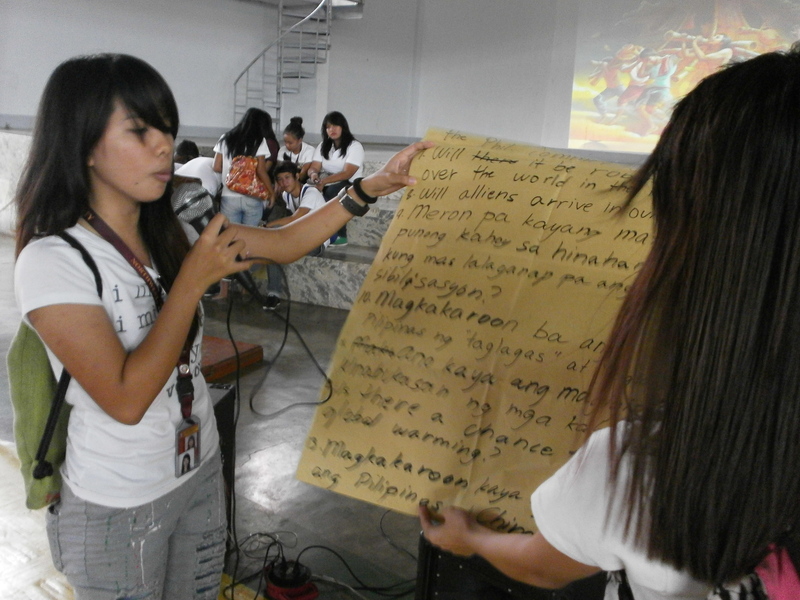 The workshop had the students list their questions and imaginings about the future. My approach was emergent as I wanted them to explore and cover different spectrum of personal and community futures. I’ve been facilitating community based futures workshop in the last six months. And the experience was thought provoking and so my plan now is to reach out to at least 5,500 students and youth all over the country. My futures approach was partly inspired by Geert Hoffstedes’ study on long-term orientation (LTO). Sohail Inayatullah’s book on transformative thinking called Questioning the Future: Methods and Tools for Social Transformation plus Richard Slaughter and Marcus Bussey’s book on futures thinking and social foresight inspired me and of course deepened my resolve to organize multisectoral-oriented social foresight events. What will Ilocos be like in the future say 20, 30 or 40 years from now? What are your fears and hopes about the future? What are your preferred futures? What are the fears that might restrict or prohibit you from achieving your desired future? These questions are straightforward and anyone I mean anybody can ask or explore these questions. I had the students/youth participants think about the future by focusing their awareness on time, deconstruct the present and imagine alternative types of futures. I had them questioned default types of futures (official future, single visions, one-man visions) and know their disowned futures (it was evident that the youth does not want unemployment, political dynasties, corruption, etc.). The futures that I am working on are anchored on the present to create alternative futures. In the study of Hoffstede on LTO, the Philippines ranked at the lowest in the world on long term orientation. Hoffstede, a social psychologist, had the values of persistence (perseverance), the ordering of relationship by status, thriftiness, and having a sense of shame as long-term oriented values. These values according to Hoffstede are future oriented and more dynamic. On the opposite, short term orientation (STO) society’s slopes towards the values of personal steadiness and stability, protecting your face, respect for tradition and reciprocation of favors, greetings and gifts. These values according to Hoffstede are orientated towards the past and the present hence are more static. In the same study, the Philippines placed in the category of societies with high short-term orientation. China, Taiwan, Singapore, Japan and South Korea were considered societies with high long term orientation implying a pragmatic future-oriented perspective. Nature and trees are worshipped in the year 2060 as humans have realized that they are within and created by nature and not above it. Political dynasties ends in the year 2050 or else? Will I ever reach the age of 75? When will corruption and poverty end? When will journalist killing stop? Will lesbians, gays, bisexuals, trans-genders gain legal rights in the Philippines? Is there a future to our future? Will I have a job in the future? When will we have a fair and just election? May puno pa bang maakyatan ang susunod na henerasyon? Will robots take over the world and our future jobs? Will aliens arrive in the planet? In the years yet to come, will there still be fresh air to breath and water to drink? I am scheduled to visit and pursue similar projects in Cagayan, Ilocos Sur, La Union and Pangasinan. I was invited by some groups and universities in the National Capital Region, the Visayas and Mindanao to facilitate futures thinking and social foresight workshops. The youth futures workshops I’ve been having were mostly campus based. I would like to thank the Student Affairs Office of Northwestern University and Dean Karl Lenin Benigno, Mr. Jericho DeCastro, Mam Judelyn Salvador, the NSTP group of NWU for integrating youth futures in community engagement. Sohail Inayatullah, Questioning the Future: Methods and Tools for Organizational and Societal Transformation. Tamkang University Press, Taipei, Taiwan. Graduate Institute of Futures Studies. 2012.